It’s all well and good to start 2016 with a “must get out more” resolution but for those in the city, where high-rise flats wall you in and dawn moves to dusk outside the confines of your office, it’s surprisingly difficult to fulfil. Like a needle in a noisy, busy, rainy city of haystacks, countryside in the capital is hard to come by. Or at least that’s the well-considered view. That’s why last week, just in time for the weather to nose dive towards its frosty norm, we met up with Madoc Threipland, the founder of Secret Adventures and a man intent on proving it’s all a myth: Even in the heart of the city there’s space for outdoor adventure to be had. Our assembly point was London Fields Lido, an outdoor heated swimming pool on the edge of a Hackney park, where drizzle smudged the light of the street lamps and contemplated turning into snow. 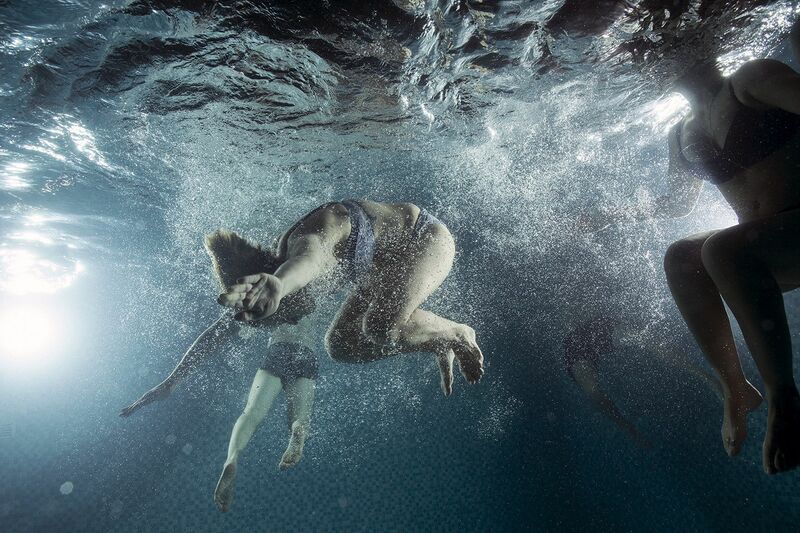 After a few introductions to members of the Secret Adventures tribe – some first timers, others fond returners – we headed poolside, changed and joined the hardy swimmers, slicing up and down the pool. In fact, for Secret Adventures, this night of outdoor swimming is one of their more modest plans for 2016. It marked the start of a pledge to swim outdoors on every full moon this year, some in the relative comfort of an outdoor pool, others with a bracing plunge into a river, lake or the sea. Given the temperatures, the pool, this time, was a happy choice. We spent around 40 minutes swimming. Nothing world record-breaking but enough to feel totally alien from a normal Tuesday night. We swam, splashed around and took a few underwater photos as the steam from the pool rose against the falling rain. Around us, meanwhile, elements of the city still remained. The bordering walls and changing rooms echoed the sound of splashing water until it was swallowed up by the sky and, beyond, a high rise block overlooked our arena, glowing from every balcony like a giant Chinese lantern. Back outside we reassembled for more. 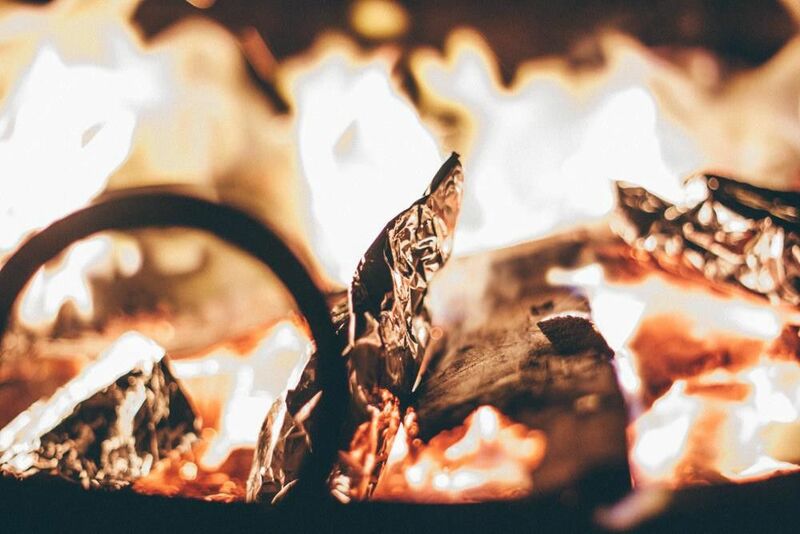 Madoc had not only brought along a huge campfire bowl, but also a couple of friends from Foods Unearthed stocked with olives, campfire-cooking chorizo and a stack of French cheeses wrapped in foil that we could toss into the flames – the more savoury version of toasting marshmallows. Don’t worry, there were marshmallows too. 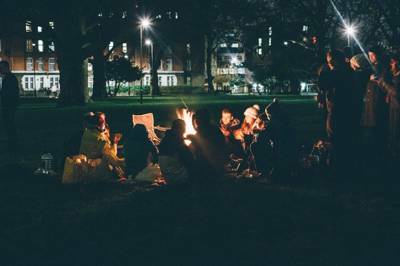 We exchanged stories, staring mesmerised into the flames, and basked in the campfire's warming glow as the sounds of the city faded away beneath the crackle of the flames. The idea of the evening was simple and spot on, chiming with anyone who wants a little adventure without having to pack their bags and get a train ticket out of town. 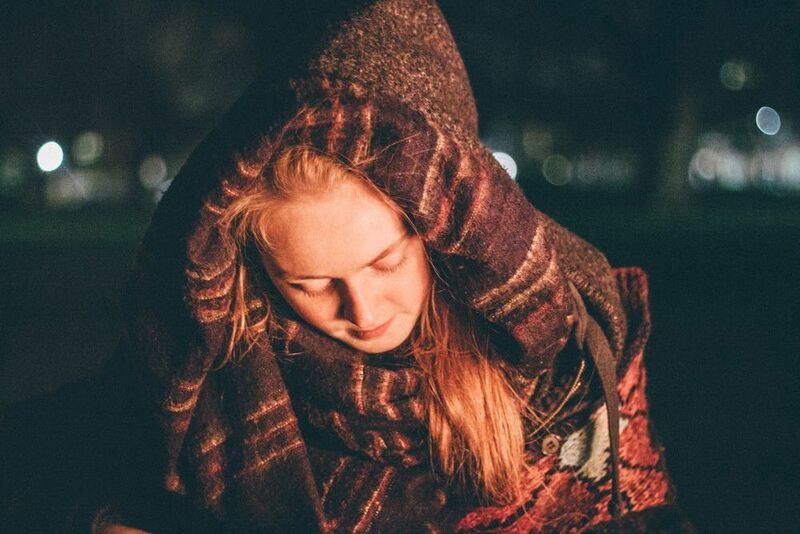 It’s reflected in all the other Secret Adventures – night kayaking on the Thames, evening walks and campfires, paddling the Regent's canal or even a full moon skinny dip somewhere in the capital. Above all, of course, it was a night that proved you can have that outdoor ‘camping’ experience in London’s own tiny pockets of green space. There are, Madoc showed, many needles within that haystack. There was, on this occasion, no actual camping out – though I hear tales of another recent adventure that involved swimming out to a river island and wild camping beneath the trees – but the spirit of it all was much the same. As the campfire crackled and the rum returned full circle to warm us up a little further, there was even some campfire music from the incredible Amy May Ellis who’d brought along her ukulele to ice our camping cake. As her folky sounds drifted into the air and the rum found its way curiously back again we were already counting down the days to the next full moon. – Secret Adventures have swimming events on during every full moon in 2016, along with a host of other activities based in and around London. Find out more on their facebook and their twitter pages. – The campfire picnic was provided by Food Unearthed, seriously knowledgable artisan folk who know good chorizo when they see it (among other tasty treats!) Try visiting their facebook and twitter pages. – Music came from Amy May Ellis, an excellent singer songwriter from Yorkshire. She's on facebook too! – All images courtesy of Leanne Downs.